I never requested a quote from a general contractor for the LDH. After building two custom homes over the years I have found that a GC will cost an additional 30% plus labor. A close freind who did the majority of the carpentry work told me it would cost $200 - 225 for a turn key. Everyone I tell is shocked we were able to build it for that price. Remember, that price does not include landscaping or paved driveway. For this home I just received quotes for the lumber yard take-off, excavation, foundation, HVAC, and Plumbing. Once you have those numbers the rest is gravey. 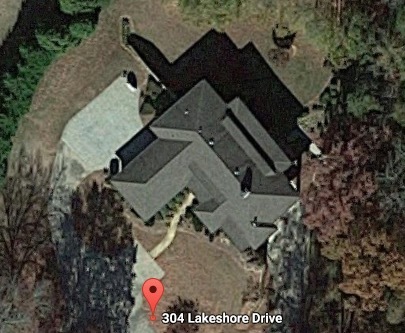 The moment I saw the Linden plans on the Life Magazine web site, I knew this was the house I would someday call home. We all know it isn't a FLLW house. It is a Rattenbury home. I saw the bones of the house and felt the influence of Mr. Rattenbury's mentor in the work. It was purely an emotional reaction that weld up from deep inside and I knew my search was over. When I was a child, my Mother, Marjorie Hubbard, was chosen to create the draperies, cushion covers, bedspreads and pillows for FLLW's Mossberg Home in South Bend, Indiana. In the older pictures of this home, her work is quite evident. She actually did the work twice when Mrs. Mossberg asked for some updating some years after the original was done. I spent a lot of time in that home in my 'formative years' which probably explains my affinity for FLLW's work. It was the feel of the Mossberg home that I have been seeking to replicate all these years later (and I don't mean the static electric shock I always received when I touched those steel rods that were used to suspend the stairway after scuffing my shoes along the hallway carpet). When I viewed the Linden plans for the first time, I knew Mr. Rattenbury had captured that feel. Even though our Linden currently still exists only on paper, the easily recognizable feeling it evokes is almost overwhelming. Don't tell me it is an inadequate design (I have read some of the other postings in the Chat) and don't rip Mr. Rattenbury's work because he isn't FLLW. There is more to a home than the design. It is all a matter of taste, or feeling in this case, and I want to thank Mr. Rattenbury for this wonderful contribution to the future housing of an American family. With all due respect. . . The "gravy" referred to in the previous post would be the hours of head-scratching that it takes to see that the drawings get turned into a building, with some sort of efficiency. If the owner is willing to take on that task, as an amateur, more power to him. The "losers" in this formula are the subcontractors, who have no one but that amateur to turn to for coordination and for answers. Their loss will be the hours over their bids that they have to spend while waiting to do their work, because of conflicts in scheduling. The owner is likely to crow "boy, they must have lost their shirt on MY job. . ." as he finally moves in. Perhaps this won't be the case in the present example(s), but it's unfortunately the norm in these situations, from what I have seen. The GC is an essential part of the builder/owner/architect menage � trois. . . I'm another one of those dreamers that saw the original plans and thought "one day" I'd like to build that house. Now that I'm in a position to, I can't find a source of plans. Are the plans still being marketed, and if so, by who? With all respect due to Mr Rattenbury, I believe you will do better to find an architect in your area who specializes in residences and who is sympathetic to your desire for a Wrightian home. This person will be familiar with all the particulars of your area -- codes, climate, contractors, etc -- and will provide a design appropriate to your building site. This is what Wright's designs represent -- the best approach to building a home. In essence, the process outlined here is what the architect you hire to adapt the Dream Home design to your needs will be doing. Giving him or her a free hand to start from scratch will do you, him, Rattenbury and Wright a service -- I believe. Basically, the LDH is an MCM with modifications. A friend of mine, the late Bettie Wagner, bought an MCM in the Hollywood Hills with a view of Chateau Marmont. It was utterly lacking in charm, but it had "good bones." She removed the flat ceiling, dressed the previously useless attic area, enclosed a useless porch in glass, adding onto the living room space, and ended up with something that might easily have emulated LDH with the addition of stone work and some art glass. I cannot imagine it cost her nearly as much as building an LDH from scratch. In fact, Wedlick's house could be translated into a Wrightian Prairie house, in some respects reminiscent of the Walser and Barton houses, with some reworking of window placement and proportion, roof form, and interior trim and casework detailing. I'm with SDR...find a local architect, or even a non local one, that is sympathetic to your "Wrightian" aspiration and get something best suited to you and your site...a work of art may be the result. You may want to try and contact the architect Michael Rust. At one point, he announced that he and John Rattenbury would be working together. I hope someone here will address your concern. I'll bump this thread until that happens. Welcome to the site . . . Contact John Rattenbury at Taliesin West. If he can't help you, he'll know who can. I'm assuming you are describing the low slope roof adjacent to the clerestories. Is your roof wood or fiberglass shingled? A picture or two could help illustrate- SDR could assist you with posting them. I'd recommend the use of an ice and water shield membrane as an underlayment to any roofing on the low slopes. If you have a fiberglass shingle roof, most manufacturers produce a low slope roll roofing that matches the color of their shingles, and is adhered rather than nailed. If you have a wood shingle roof I'd recommend a flat seam metal roof. 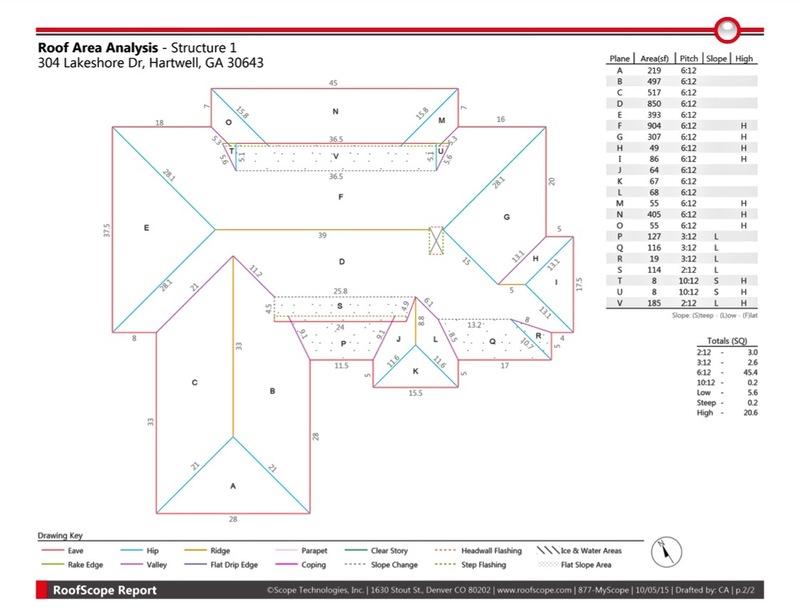 The detailing of the transition between materials is critical. 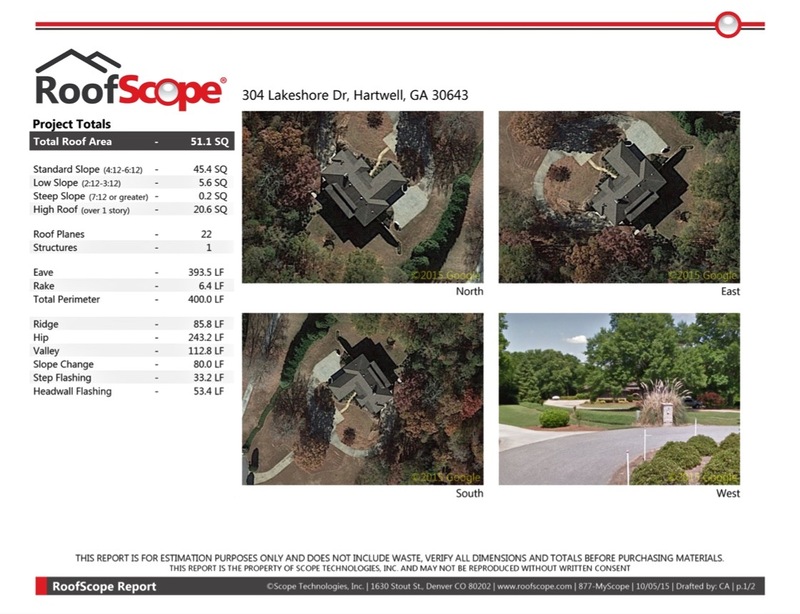 I have an aerial roof measurement by RoofScope, the roof looks even more complicated in this pdf � we intend to do our best to find the best solution for our roof replacement. This WrightChat site is a great resource and discussion forum; I am so glad that it is available for us to network with the LDH community. Thanks again for all the comments.